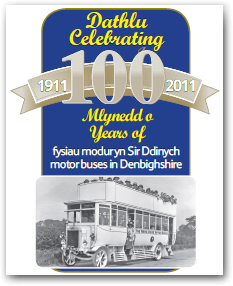 Hugging the foothills of the western Clwydian Range, this scenic route operates every two hours from Denbigh to Ruthin & Graigfechan via Llandyrnog. Ideal for access to country pubs and walks in the Clwydians. The 76 accepts your Connexxions Plus ticket, so between Denbigh and Ruthin, why not try something different and travel one way on the X50 and the other on the 76. Changes from August 2011 may make Fflecsi less flexible but Fflecsi still offers an excellent service for the villagers south and west of Ruthin. 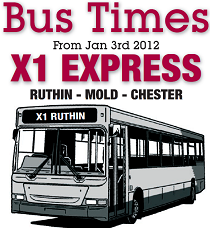 Buses continue to connect with service X50 at Ruthin, to both Wrexham and Denbigh/Rhyl. You can buy and use a Connexxions Plus ticket. It operates on a timetable in the morning and on demand in the afternoon. 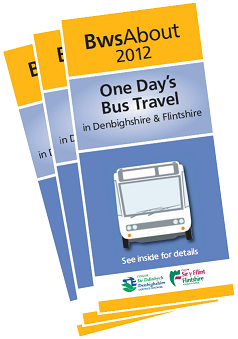 Want to come back from Ruthin at a time that suits you? Just wait at Market Street for at the appropriate time. For selected villages, it will go where you want it to. Just tell the driver.